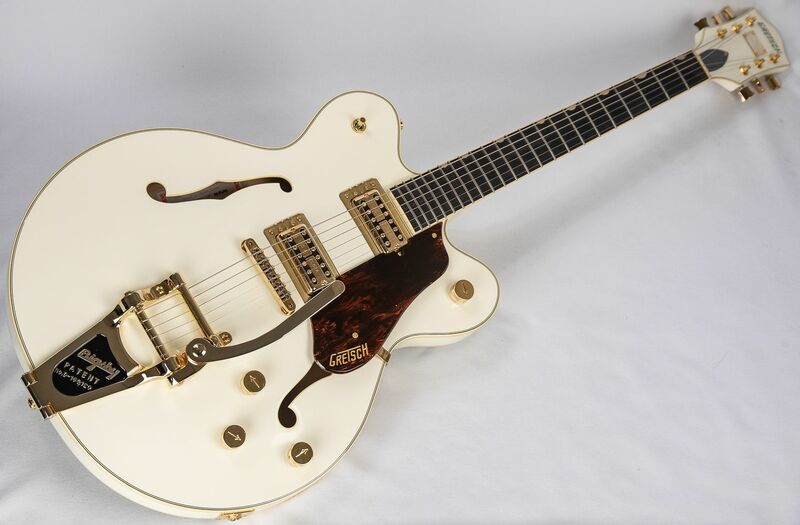 In stock now check out this wonderfully stylish and intuative premium quality lightly ex display Gretsch G6609TG. This incredibly lovely high end Gretsch will be expertly set up in our workshop and sent using our secure courier service. It combines classic style and premium build specifications with an upscale feel and performance. Includes official hard case and warranty. A full set of images are avaiable on request. 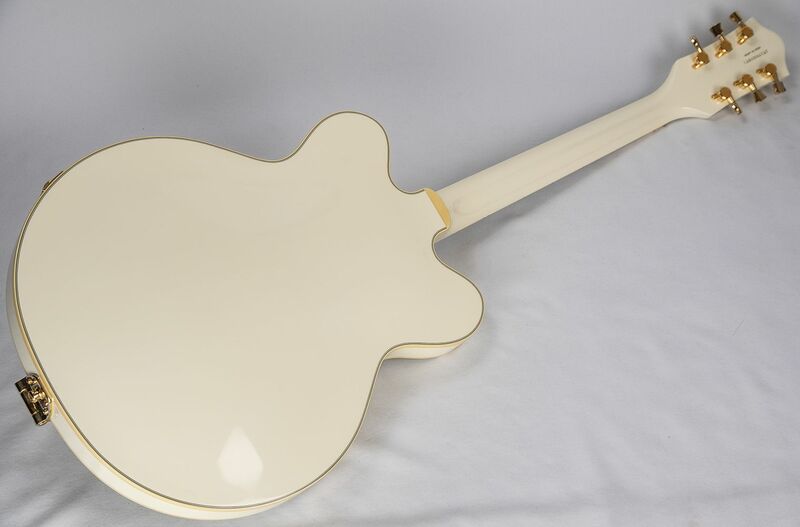 Gretsch G6609TG Players Edition Broadkaster Double-Cut Vintage White Guitar. Offering players a perfect blend of upscale specifications and attractive classic Gretsch styling, this G6609TG Players Edition Broadkaster has a lot to offer. This stunner of a Gretsch Players Edition Broadkaster has been out on display in our store but has not been available to just pick up and handle without supervision as it has been securely locked in place. It has some slight tarnishing of the Gold hardware, but other than that, no marks or dings. It comes with the Gretsch fitted hardcase and strap locks. This is a really great opportunity to grab a near 'as new' guitar for a great price! 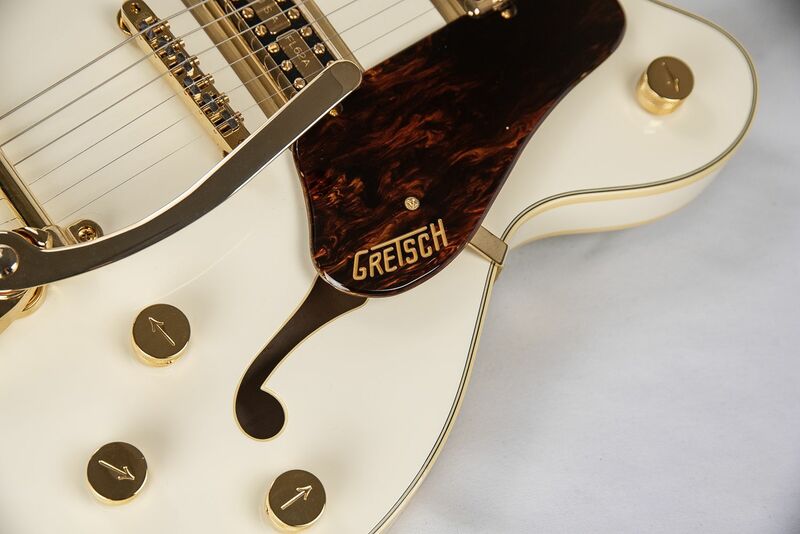 Feast your eyes on this terrific high quality Gretsch players edition guitar. Part of a family of instruments that will need to introduction to any guitar connoisseur, serious player, or collector, this particular version offers an especially lovely blend of style and character. 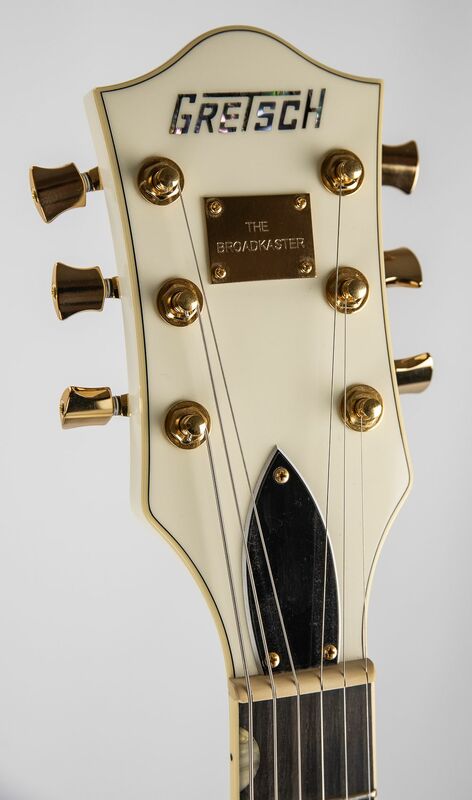 The G6609TG Players Edition Broadkaster Center Block in handsome Vintage White finish and gleaming gold hardware benefits from a popular string thru Bigsby trem option, and offers players a wonderful versatile build. Features include an arched laminate maple construction with an enhanced list of vintage influenced hardware and meticulous attention to detail. This Gretsch guitar feature the all-new U.S.-made Full’Tron pickups that deliver full-spectrum sonic range with distinctive snarl, in addition to classic Gretsch chime, balance and brilliance with slightly more pronounced mid concentration that brings even more tonal muscle to full-volume playing with overdrive and distortion.